LOS ANGELES (AP) — Justice Sueing scored 24 points, just three shy of his career-high, and the Golden Bears battled in a back-and-forth game with the Bruins but came up short, 70-57. 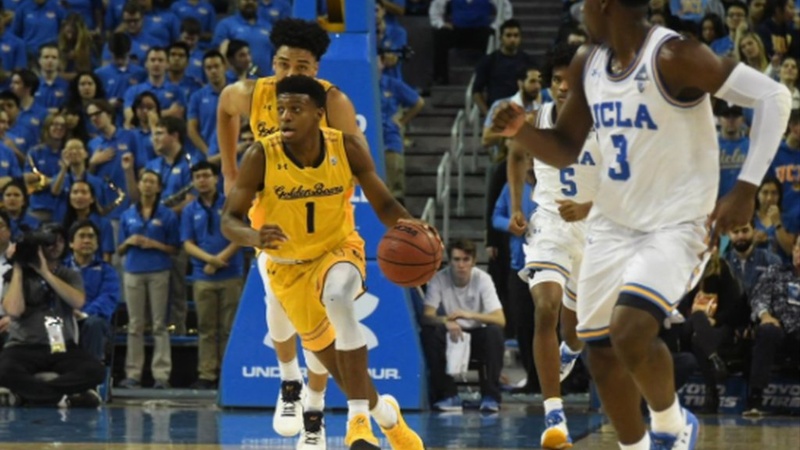 Aaron Holiday scored 21 points and had six assists and freshman Jaylen Hands had 14 points to lead UCLA to victory. The Bears ((7-14, 1-7 Pac-12) took their last lead, 47-45, on a Sueing 3-pointer but UCLA (14-7, 5-4) responded with a 16-4 run to seize command. UCLA connected on just 41.7 percent of its 48 field-goal attempts and Cal shot 35.5 percent (22 of 66). The Bears outrebounded UCLA 41-34 and outscored the Bruins 20-6 in second-chance points, but committed 15 turnovers. Senior Marcus Lee added 13 points for the Cal. Sueing scored 10 points, including two 3-pointers, as the Bears took a 27-14 lead. But UCLA started playing with new energy, rolling off a 16-0 run and Cal went 8:25 without a field goal before trailing 38-31 at the half. The Bruins' scoring run oddly coincided with center Thomas Welch — their leading rebounder and third-leading scorer — going down with a left knee sprain. He exited the court with 9:07 to play in the first half and did not return until 3:04 into the second half. He finished with seven points and five rebounds. Kris Wilkes added 10 points. Cal's leading scorer, Don Coleman (16.9 per game), did not play due to a violation of team rules. Cal: The Bears won their Pac-12 opener over Stanford, 77-74, but have lost every game since. UCLA: The Bruins hardly got the overall strong game they were hoping would turn their season around, but had to feel they at least made a positive step. Cal remains in Los Angeles to play USC on Sunday. After some early struggles, the Trojans have won five straight.